Many companies utilize an Extended Enterprise LMS in order to reach their user audiences by offering them specialized training that is based upon their interactions with a company’s products. Extended Enterprise learning is key to targeting your business’s non-employees; this would include end users, sales representatives, franchisees, and distributors. By leveraging this tool for them, you are not only opening up a new revenue stream, but you are allowing your users to have the power to grow their knowledge and expertise on your products. When opening your LMS to external learners, several factors that may not have been as high a priority with internal learners become far more important – these will need to be addressed before you can enjoy the benefits of Extended Enterprise. External learners will want to engage with content that they feel is worth their time, effort, and money. They will have different expectations in choosing which courses to enroll and complete, whereas an internal user will usually expect to have relevant content assigned to them. Educating your users is vital for overall growth and success, but it doesn’t have to come at a substantial cost to the company. Training your channel partners, resellers, and customers grows knowledge, thus reducing the cost of support. Enhancing your LMS with Extended Enterprise lowers training delivery costs through the reapplication of learning content which will assist in minimizing travel and instructor expenditures. This, in many cases, reduces risk in regards to regulatory compliance and is especially important when supporting and growing a global network of partners. Through the use of Extended Enterprise, training organizations can accelerate timelines for many activities by offering the tools and expertise that end users will need right at their fingertips. Deploying new products, expanding into new global areas, increasing sales and completing partner compliance are all meaningful and measurable impact areas. 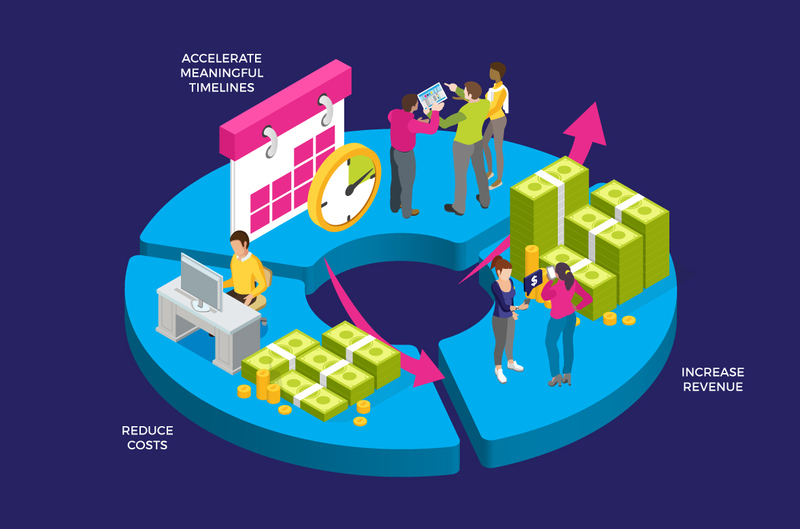 Extended Enterprise learning is often used by an organization to generate an additional revenue stream; whether it’s by selling content, certifications, or general product training, in many cases they all make a significant business impact. However, the benefits do not end there. Well trained channel partners who are knowledgeable about your products will invariably sell more of them. Customers who are better trained on how best to use their newly purchased software or product will have fewer support issues and will be more likely to renew their subscription or upgrade their product when a new version is available. By implementing your e-commerce capabilities, you can easily optimize your revenue while still being able to differentiate your learner groups and track the overall success of each available course or curriculum within your LMS. In our next blog, we will outline who would use an Extended Enterprise LMS and which tools would be best utilized by them. Want to learn more about the Extended Enterprise model? Tell us a little bit about your situation and we’d love to discuss your requirements further.